In some ancient kingdom, hens would lay golden eggs during Easter. It's traditional for these eggs to be distributed to the poor. So every year at Easter-time, the king would have his knight go around his kingdom to collect these golden Easter eggs. Can you help the knight collect these eggs? On the board below, move the knight to all squares occupied by the golden eggs in 14 consecutive moves, so that an egg is collected each move. Naming the squares a to d, and 1 to 4, on what square will the final egg be collected? I first started to get into chess whilst a Post-Doc at Oxford but it wasn’t until I started my career as a schoolmaster at King Henry VIII School in Coventry that I started to play more seriously. Many a lunchtime in the late 1990s was spent battling over the 64 squares with IM John Cooper who was, and still is, the Head of Maths there. It was John who made me appreciate just how valuable chess is as an educational tool and a number of promising juniors in the West Midlands (such as Marieanne Howard, British u16 champion 1999) helped me to develop some new coaching materials which were further enhanced through the generosity of GM Dr John Nunn. 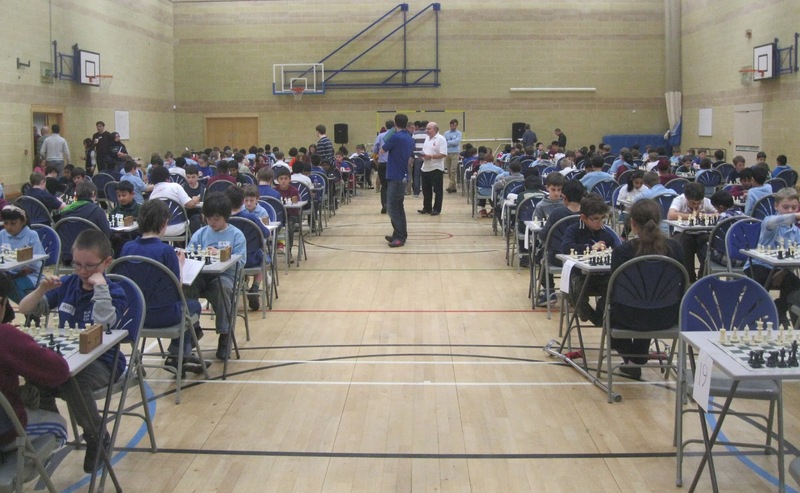 On moving to Woodbridge School in 2000 I put a lot of effort into trying to rejuvenate junior chess in the area, setting up a local league, re-establishing the school competitions for County trophies, running coaching sessions and holding a tournament at Woodbridge each term. The school chess club rapidly became very popular and successful and GM Jonathan Levitt, WIM Ruth Sheldon, and Suffolk stalwart Ian Wallis were all drafted in to help me with the coaching. In 2004 we appointed IM Adam Hunt as our full time Director of Chess and I was largely able to hand over the baton. Adam took a well-earned sabbatical in 2011/12 to write his book, ‘Chess Strategy: move by move’ and play in tournaments around the World in an attempt to gain the GM title. GM Stephen Gordon did a great job looking after the chess in Adam's absence and I enjoyed being more 'hands-on' helping him with the coaching, fixtures and tournaments. The majority of Adam's coaching is now at The Abbey (our Junior School) but pupils from the senior school regularly play in the Suffolk adult league and the 4NCL and several have represented England. We offer chess scholarships and bursaries and in September an Australian boy, Justin Tan (who currently has a FIDE rating of 2269) will be joining us to try and secure his IM title and to study for his A levels. My responsibilities as the Director of Teaching and Learning at Woodbridge, alongside work as a school Governor and as an Inspector for the Independent Schools Inspectorate, mean that I have little time or energy to play chess myself. Other hobbies and interests, along with a wife and two young children, further exacerbate the time shortage and my chess playing is limited to playing correspondence chess and, very occasionally, a flurry of online blitz. If my boys become interested in chess then I might get the chance to play OTB but if not then I will really enjoy taking up chess OTB once I retire and have more leisure time. I first started playing postal in 2000 when I moved to Woodbridge but found it very slow and that the cost of stamps mounted up quickly when playing lots of games at the same time. I played three correspondence games for Suffolk by email in 2003-2005, scoring 2½/3 on boards 1 and 2 but it wasn’t until the ICCF webserver arrived that I started to take correspondence chess more seriously. I started playing in lots of ‘friendly’ Internationals for the England team and then in 2007 I was asked to play on board 3 for Knights Errant in the ICCF Champions League. Despite a rating of only 2175 I scored 8/12 against some decent opposition including a win over IM Moura (2460). My next tournament was in 2009, representing England in a preliminary round of the World Championship. The opposition was stronger again and a score of 7½/12 further improved my rating. I had deliberately concentrated my efforts against the four IMs taking part and scored 3½/4 against them. At this point my rating was already around 2300 and I realised that I could realistically aim to achieve the International Master title myself and decided to 'go for it'! My next two tournaments were dedicated master norm tournaments. To cut a long story short I won them both, gaining an IM norm in WS/MN/55 and then both an IM and SIM (Senior International Master) norm in WS/MN/62. In each of these tournaments I had agreed quick draws in some games and spent many hundreds of hours riding my bicycle analysing others that interested me. By March 2012 my IM title was confirmed and it was officially conferred at the annual ICCF Congress in November 2012." Congratulations John! His current ICCF rating is 2412. It's Easter, so not a lot of chess is being played - unless you're at Southend for the weekend. So here's some puzzles for you. 1 What was the last move? 2 What was the last move? 3 Place pieces on a1, b1, c1 and b2, such that it's White to play and mate in 2. Continuing our occasional series on the Laws of Chess, this is something that most adult players are familiar with. 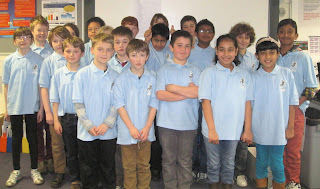 But some juniors are not; in fact in a quiz at the Bury Knights Junior Chess Club last week, only 5 (out of 25) got it right. Rule 9.1 states that a draw should be offered after you have moved and before you press your clock. A draw offered at any other time is still valid, but it may be considered as distracting or annoying your opponent if you offer it whilst he is thinking. Repeated draws can be punished in a tournament if the arbiter agrees that the draw offers are excessive. The arbiter could award extra minutes in such a case. When you offer a draw, or when your opponent offers you a draw, this should be noted on the scoresheet by adding a '=' after the move when it was offered. A draw can be accepted by shaking hands with your opponent, or agreeing verbally. A draw can be rejected verbally ("no thank you"), or by touching a piece with the intention of moving it or capturing it. It is important to remember that the claim of a draw under 9.2 (three times repetition), 9.3 (50-move rule) or 10.2 ("2-minute rule"), is also equivalent to an offer of a draw. The opponent can accept immediately if he so wishes. 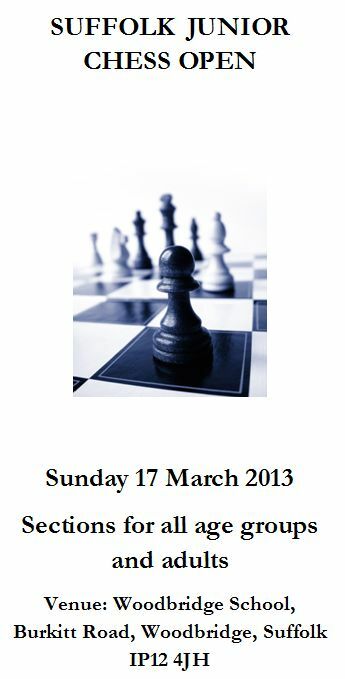 After three (failed) attempts in the past five years, Manningtree Chess Club have survived a season in Division 1. With just one match to play, they are seven points clear of bottom club Sudbury, who cannot escape relegation. They are currently in joint second place, though well behind leaders and champions-to-be Ipswich A.
Manningtree are also in the Final of the League Cup, where they will face Ipswich. Next season, Manningtree hope to field a second team. Eight of their members played this season in Division 1, with Adam Taylor, Phil Hutchings and Jim Buis all scoring 50%. As mentioned elsewhere, Jim Buis has managed to draw all six of his games! 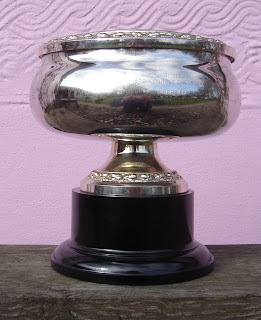 It's 25 years since this magnificent cup was awarded by the British Chess Federation to... Stowmarket Chess Club! Yes, little Stowmarket was voted 'best club in the country' back in 1988. It's high time another trophy was awarded to a Suffolk club. The English Chess Federation awards trophies for the 'Club of the Year' and 'Small Club of the Year'. Perhaps Stowmarket, with a dramatic recent increase in membership, including a number of juniors, should apply again? Or what about Saxmundham, now competing in the National Club Championship? Just string a few words together (see Trowbridge's from 2012) and the trophy can be yours! With only a few matches remaining, the battle for the three 'Player of the Year' trophies is hotting up. There are clear leaders in Divisions 1 and 2, but the field is wide open in Division 3. This weekend has seen the fourth weekend of 4NCL matches, with all divisions playing at the vast Puma hotel at Hinckley Island in Leicestershire. The four East Anglia-based teams were all in action. Anglian Avengers 1 are in Division 2, whilst their second and third teams, as well as Iceni, all play in Division 3. 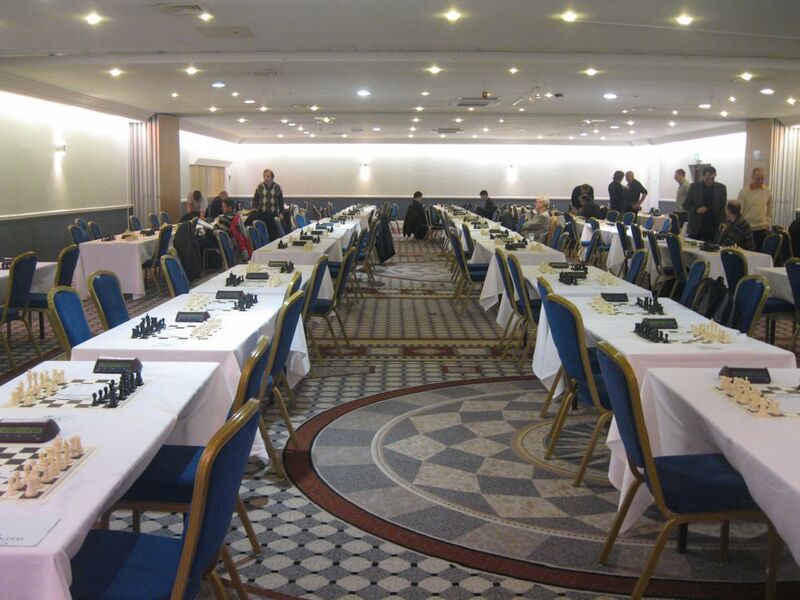 The standard of chess at the 4NCL is very high, with players allowed up to 3½ hours each to complete their games. For obvious reasons, there's just one game each day. Anglian Avengers 1 had a good weekend, winning both their matches. Following Round 7 on Saturday, Division 2 was split into two, a 'promotion pool' and a 'demotion pool', each containing eight teams AA1 crept into the promotion pool following an excellent 5½-2½ win on Saturday, and after another win, this time by 5-3, on Sunday, are currently in 5th place. In Division 3, the 'south' and 'north' sections were combined for the first time, leading to a massive division with 49 teams from around the UK. Going into this weekend Anglian Avengers 2 were joint leaders, but without several of their leading players, lost ground by losing both matches against higher-rated opponents. Anglian Avengers 3 also lost both their matches. The other team, Iceni won their first match convincingly, assisted in no small part by two default wins, and drew their second match. The final weekend is the May Bank Holiday weekend, when three rounds are played on Saturday, Sunday and Monday, 4, 5 and 6 May. This weekend often creates problems for team captains, as some players are unwilling to play on all three days. Anglian Avengers 1 will probably find the going tough and may just be happy to retain their position within the Division 2 promotion pool. Some good results for Anglian Avengers 2 could possibly see them being promoted to Division 2 next season, whilst Iceni and Anglian Avengers 3 would simply like to see their positions in Division 3 improved. The Bury Area League is fast approaching its finale. The current leaders in all three divisions look as if they will end up as champions. Linton A are 3½ points clear and need to score 7 points from their remaining two matches to guarantee the title. Remember that in the Bury League there's a bonus point for the team if they win. So a 3 - 1 win becomes 4 - 1 etc. Bury Cobras require 5½ points from their final two matches to win the title. Newmarket need only 2½ points from their last two matches to become Div 3 champions. A 'spectator' is a person who is observing a chess game within the playing area. This includes players who have finished their games (FIDE Rule 12.5) but does not include someone who has got up from his board to wander around; that person is still a 'player'. Media personnel, if any are present, are also regarded as 'spectators'. Rule 13.7a states that spectators are not allowed to speak about or otherwise interfere in a game. Common instances of this rule being broken are when an illegal move is made or when a player's flag falls and a 'spectator' points it out, gestures, or simply gasps, thereby drawing attention to the fact. If this occurs, usually in a time scramble, it's unfortunate for the player whose flag has fallen, because his opponent may also be very short of time and had not noticed the flag-fall. But the result of the game stands. There's no requirement or option to replay the game (NB. it is an option under US Chess Federation rules, which differ from FIDE's), or for the game not to count for grading or rating purposes. It's important that young players are aware of this rule as they are often the culprits. In the event of a spectator offending this rule, the arbiter may expel that person from the playing venue. In most cases, however, the spectator would just receive a warning. Spectators are allowed to inform the arbiter (but only the arbiter) if they happen to observe an irregularity. No one (including a 'spectator') may use a mobile phone or any kind of communication device in the playing area and any contiguous area designated by the arbiter (Rule 13.7b). 1. Don't 'camp out' to watch a particular game. 2. Don't stand in front of or make eye contact with any player whose game you are observing. 3. Don't make faces or gestures or convey in any graphic way an opinion of the game being observed. 4. Don't discuss or even whisper an opinion of a game being observed. 5. Don't speak privately with any player at or away from the board while his or her game is in progress. 6. Don't take pictures after the first ten minutes of a game when using flash or a camera with an audible shutter unless you have prior approval from a tournament official. 7. Don't take pictures at any time from a location that makes you an obvious distraction to the players. 8. Don't make any noise, such as opening a bag of potato chips, within earshot of a game in progress. 9. Absolutely do not point out flag fall or illegal moves, or otherwise attempt to play the role of tournament director by intervening in a game for any reason. 10. Don't discuss a game at its conclusion in the tournament room or attempt to analyze a game at the board. 11. You may make a tournament director aware of concerns about perceived cheating or rules violations of players or other spectators, but do not attempt to enforce rules yourself. 12. Do, of course, comply with any requests or instructions issued by tournament staff. Be aware that a tournament director may ban spectators from the viewing area if necessary. Shaun Munson has a grading performance of 217 over the nine games. Michael Clapham's wins include one by default. Behind Ipswich A, there are three teams on 18½ points. So for Manningtree, Ipswich C and Bury St Edmunds A, there's still all to play for if they want to finish as runners-up. How many people know the correct way of promoting a pawn? We all know that when a pawn is advanced to the eighth rank, it is exchanged for another piece of the same colour (other than a king, of course). But can you change your mind as to which piece you wish to promote to? Suppose you push the pawn to the back rank and pick up a queen. Just as you're about to place it on the promotion square, you realise that your opponent would be able to checkmate you. You are allowed to change your mind and swap the queen for another piece (a knight for example may help you save the game), provided the queen didn't touch the promotion square. If it did, tough, it's too late to change your mind (FIDE Rule 4.4d). What else is important to remember in pawn promotion? The move is 'made' when the new piece is released (Rule 4.6c). There's a difference between a move being 'made' and 'completed'. The latter only occurs when the clock has been pressed. If a piece is not available, then you may stop the clocks to call the arbiter in order to locate a suitable piece (Rule 6.12b). Using an upturned rook as a queen can be dangerous in tournament play, as your opponent may insist that it's still a rook! In league games, it's generally accepted that an upturned rook is a queen, but you should make sure your opponent knows it's intended to be a queen, and accepts that it is. 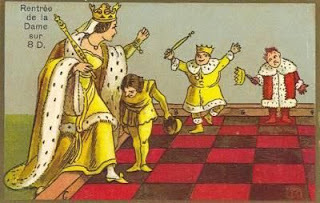 It's not considered good practice to place the queen on the promotion square without first promoting the pawn, although that technique is often seen in quickplay finishes. You can promote to any piece, regardless of whether that piece has already been taken. That means you can have more than one queen, or more than two knights. In fact in theory you could have nine queens! Promotion to anything other than a queen is known as 'under-promotion'. In the following position, how many mates in one (for White) can you find? Both the Suffolk First Team and the Under 160 Team have qualified for the National quarter-finals. The First Team will be at home to Surrey, whilst the Under 160s are away to Nottinghamshire. Both matches will be held at neutral 'halfway' venues, on Saturday 18 May. The First Team will probably be in London or Essex and the Under 160s will be in Peterborough. The two team captains, Ian Wallis and Bob Jones are currently consulting their squads to ascertain their availability. Please reply as soon as possible to their emails. In today's matches, there were two wins each for Alan Merry (Board 2), Graham Moore (Board 4) and Ted Matthewson (Board 5). Those scoring 1½ points were: Steve Gregory, Nick Savage, Michael Clapham and Andrew Shephard (included a default win). 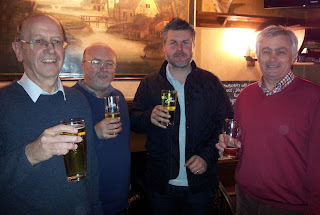 Ed Player, Ian Wallis, Martin Fogg and John Peters all scored one point. This season Alan Merry has scored an amazing 5½ points out of 6, playing twice on Board 1 and four times on Board 2. His grading performance over these six games is 237. Ted Matthewson scored an unbeaten 5 points, whilst Graham Moore ended up with 4½. Steve Gregory and Michael Clapham were both unbeaten on 4 points. Suffolk now qualify to play in the Open section of the National Inter-Counties, where they are due to face Surrey at home (corrected), probably on Saturday 18 May. Surrey were runners-up (to Middlesex) in the Southern Counties Chess Union stage. You can see the Surrey results here (team average grade 195 in their most recent match). Captain Ian Wallis is currently canvassing the squad and checking on availability for all dates to the Final. The other dates, if successful, are June 8 (Semi-final) and July 13 (Final). If Suffolk beat Surrey, we will probably play either Somerset or Yorkshire (away again). 'Away' matches are often arranged at neutral midway venues, with the away team making all the arrangements. We knew there would be some strong teams playing, and our team was inexperienced at this level. They finished in seventh place out of the nine competing 'counties', which was probably as good as had been hoped. They finished ahead of neighbours Cambridgeshire, who were weakened by the absence of two of their players. Our top eight boards performed extremely well, scoring 15 points out of a possible 24. Our boards 1 and 2 were 'borrowed' from Norfolk, and that certainly helped, as other Suffolk children were able to play on lower boards. One of the outstanding performances was on Board 3, where Alex Sheerin had the toughest possible draw, having to play against the Board 3s of the top three teams. He nevertheless scored 2½ points, and may even have had a win in the drawn game, against the eventual winners Barnet. At the other end of the team, the two girls on Boards 19 and 20 both received a bye, thanks to Cambridgeshire's defaulted boards, but still managed to win 3 of the other 4 games, with Bethany Young winning both and Zoe Newman one. Unfortunately, many of the Suffolk middle boards tended to move too quickly, a habit which will surely be eliminated with more experience. The games were of 100 minutes duration, with 50 minutes for each player. A number of games involving middle order Suffolk players were completed in less than 10 minutes! The 18 Suffolk players all came from either Woodbridge School (6) or Bury Knights JCC (12). Other players scoring more than zero were: Ryan Chan 2; Karthik Saravanan 1½; Anita Somton 1; Mario Saenz de Villaverde 2; Daniel Garcia-Leon 2; Alan John 2; William Moody 2; Toby Cassy 1; Abel Vadakelan 1; Liya Baby ½.
Barnet were a class apart, scoring an average of 17½ points out of 20 in each round. In Round 1 they scored an amazing 19 points. The top six teams qualify for the National Finals in Nottingham on 11 May; sadly Suffolk will not be among them. Team Manager Laura Cortabarria (mother of Mario and Aaron) was rightly very proud of the team's achievements. As reported recently, tomorrow's event at Woodbridge School will not be taking place. There were too few entries to go ahead. This was probably partially due to the Under 11s playing in Northampton today, as well as the County First Team matches on Sunday itself. 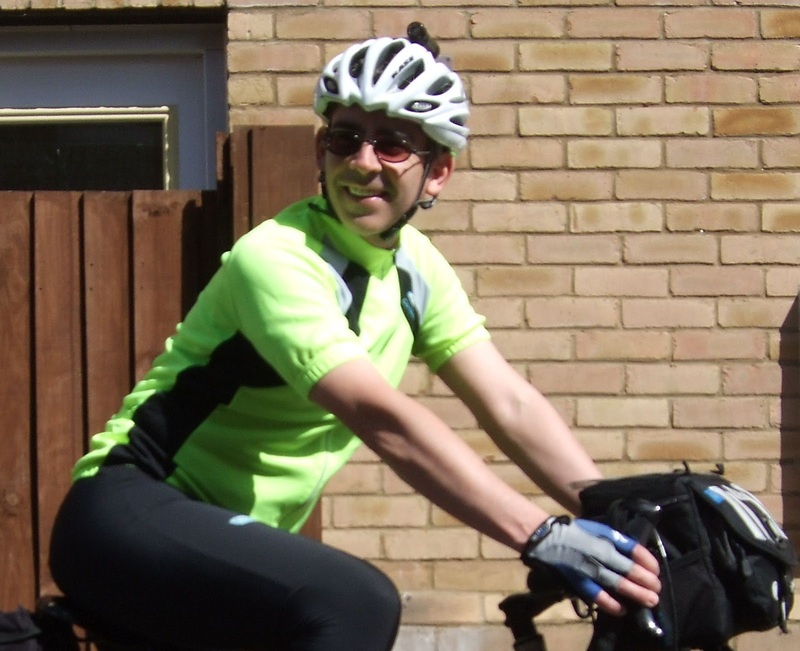 Organiser Adam Hunt has re-scheduled the event for Sunday 16 June. It is hoped that many juniors will wish to enter, as this is the tournament where age-group winners are awarded the title of Suffolk Champion. There will also be two separate sections for 'Parents' and stronger Adults. New entry forms will be available soon, but anyone who entered for tomorrow's tournament may elect to transfer their entry to the new date without having to complete another form, or to send another cheque. Please advise Adam if that is your preference. This rule is one of the most controversial - and misunderstood - rules in chess. There are many people who would like to see it scrapped; indeed, if you play with increments, eg Fischer timing with, say, 15 seconds added each move, then there is no need for this rule. Perhaps in time, when digital clocks are the norm, we will move to Fischer timing for all graded games and the problem will disappear. In the Bury Area League, Fischer timing is an option, but has only been used a few times by consenting players. If the player, having the move, has less than two minutes left on his clock, he may claim a draw before his flag falls. He shall summon the arbiter and may stop the clocks. a. If the arbiter agrees the opponent is making no effort to win the game by normal means, or that it is not possible to win by normal means, then he shall declare the game drawn. Otherwise he shall postpone his decision or reject the claim. b. If the arbiter postpones his decision, the opponent may be awarded two extra minutes and the game shall continue, if possible in the presence of an arbiter. The arbiter shall declare the final result later in the game or as soon as possible after a flag has fallen. He shall declare the game drawn if he agrees that the final position cannot be won by normal means, or that the opponent was not making sufficient attempts to win by normal means. c. If the arbiter has rejected the claim, the opponent shall be awarded two extra minutes time. The obvious problem in League or County matches is that there is no arbiter. The League rules attempt to get round that problem by advising (Rule 51a): "If their own games have been completed the two captains may jointly arbitrate in this matter and if necessary should allow the game to continue until flag fall in order properly to evaluate the claim." The trouble is, are the two captains sufficiently knowledgeable of the rules to be able to 'properly evaluate' the claim? I'll deal with that later! Let's get back to basics. Firstly, when should a claim be made, and why? The rule can be invoked in standard-play or rapidplay games, but not in Blitz (less than 15 minutes each on the clock). The rarer occasion is when the opponent cannot win by normal means. This should be clear to the players, and certainly to the arbiter/captains. In this case, the draw would be immediately awarded (if not accepted by the opponent). The more common occasion is if you are the player with less than two minutes remaining on your clock, and therefore in some danger of losing on time, but you feel that your opponent is not trying to win by normal means, i.e. just shuffling the pieces around in order to waste time. Then you can stop the clocks and claim a draw. It's important to appreciate that this claim of a draw is also equivalent to an offer of a draw, and therefore the opponent can immediately accept. However, if he declines and is happy to continue, then he does stand a chance of losing the game, either by checkmate or on time. A word of advice here. If you wait until there are only a few seconds remaining before claiming the draw, you are not giving sufficient time for the arbiter/captains to decide if your opponent is trying to win by normal means. There was a good example only last Wednesday in Cambridge, when Ian Wallis's opponent claimed a draw with just 20 seconds remaining. The game continued with the two captains watching. Ian made a move and his opponent then thought for the whole of the 20 seconds, when his flag fell. The only evidence available was that one move by Ian, which is clearly insufficient. The verdict was that Ian's opponent had lost on time. Ideally, therefore, if you intend to claim a draw, do so as soon as your clock shows under two minutes remaining (easier with digitals!). Assuming the arbiter/captains ask for the game to continue, it is then up to your opponent to demonstrate that he is trying to win. Before your clock runs out, your opponent will need to make a reasonable number of moves in order to prove his intentions. If he were to make, say, only one or two moves in that time, then the draw will probably be awarded (provided you, the claimant, have played your moves sufficiently quickly to allow your opponent enough time). When a claim is made, it is usual practice for the arbiter/captains to postpone their decision and allow the game to continue. On rare occasions, usually if the claim is clearly frivolous, the claim can be immediately rejected, in which case the opponent will be awarded two extra minutes and the game continues. So, having postponed the decision and allowed the game to continue, what then happens at flag-fall? The arbiter/captains have to make a decision. By the way, they could make a decision before flag-fall, if it is completely obvious that either no attempt is being made, or is being made, but almost always they will wait until a flag falls. They should then not allow others in the room to contribute their thoughts, nor should they attempt to analyse the final position. Any winning possibilities as at the final position are not relevant. Their main consideration is, during that last part of the game when they were observing, was the opponent attempting to win by normal means? If so, then the opponent wins; if not, then it's a draw. In some cases it may be necessary to re-trace the game's progress before the claim was made, in which case the scoresheets can be used to play through the game. Some further advice for arbiters/joint captains: At no point should they make any comment, such as "Play on, because Black has a passed pawn and can win". Simply decide if the game should continue, and if so, say so without further comment, other than explaining if neceesary that you will make a decision later or at flag-fall. If the opponent has more than five minutes remaining, he must maintain the game score. If he has less than five minutes remaining, the arbiter/captains should write down the moves played, using a separate scoresheet. Because of the possibility that they may be called upon to make a decision under 10.2, team captains should make themselves fully conversant with this rule. Also, the award of two additional minutes under rule b. above, is very rare. It might be given if the arbiter/captains felt that the claimant was simply trying to gain some extra thinking time (during the hiatus that usually occurs when such a claim is made), but that the claim nevertheless had some degree of validity. It's important to note that the arbiter's decision is final, so there is no recourse to appeal. Rule 10.2 always seems to provoke reactions, so let's see some comments below, or even some examples of when you claimed, or had a claim made by your opponent. If you would like to see some more examples of Rule 10.2, with Chairman of the FIDE Rules Committee Geurt Gijssen's comments, click here. So the totals are almost identical. But then there were 13 active clubs; now there are only 10. Contact Nigel Cook or tel. 01702 218926. Contact Terry Douse or tel. 01727 751072. Contact Paul Kemp or tel. 01223 872081. Contact John Charman or tel. 01603 460513. Contact Richard Freeman or tel. 01908 234014. THIS EVENT HAS BEEN CANCELLED. IT HAS BEEN RE-SCHEDULED FOR SUNDAY 16 JUNE. On Sunday the Suffolk Junior Open Tournament takes place at Woodbridge School. The event is open to all Juniors, as well as adults for whom there is a separate section. Unfortunately it coincides with the County First team matches, which means that some of the 'regulars' will be unable to attend. Also, the previous day, the Under 11s are playing in Northampton and many parents will be reluctant for their children to play in both events. But if anyone reading this is interested and hasn't entered yet, Adam Hunt would be delighted to hear from you. He can be contacted here by email, or by phone on 07717 696370. Today is the official closing date for entries, but he will probably be glad to hear from you any time up to Friday. This is the first of an occasional series on the Rules of Chess. "In the course of play each player is required to record his own moves and those of his opponent in the correct manner, move after move, as clearly and legibily as possible, in the algebraic notation, on the scoresheet prescribed for the competition. It is forbidden to write the moves in advance, unless the player is claiming a draw according to Article 9.2, or 9.3. Both players must record the offer of a draw on the scoresheet. If a player is unable to keep score, an assistant, who must be acceptable to the arbiter, may be provided by the player to write the moves. His clock shall be adjusted by the arbiter in an equitable way." 1. Legible moves. You must record the moves legibly so that if necessary, the whole game can be reconstructed by reading your scoresheet. For a number of years now, it is required that recording is made in algebraic (not descriptive) notation. In a tournament, if scoresheets are provided (usually duplicate or triplicate ones), these must be used if so required by the tournament controller. If you usually like to record moves in your own scorebook, you will have to transcribe the moves to your book after the game has finished. 2. Not writing moves in advance. This rule has been in effect since 2005. This is an important change because some players had become accustomed, even encouraged, to write down their intended move, consider it, then make it on the board. Many chess coaches, including Kevin O'Connell, insisted that juniors did it this way. But note-taking during a game is forbidden, and writing moves in advance could in some circumstances be considered as 'note-taking'. There were also a number of examples where players (usually juniors) would write down their intended move and get their coach or parent to stroll past and give a nod or a shake of the head! The Rule also states that there are two exceptions. If you want to claim a draw because a three times repetition is about to occur (Rule 9.2) or if 50 moves will have been played without any capture or pawn move (Rule 9.3), then you should write down your intended move that will create the three times repetition or 50 moves, then stop the clock and make the claim. If you touch a piece before writing down the move, then you lose your right to claim on that move. Effectively you would have to wait until a fourth repetition is about to occur, or 51 moves etc. 3. Delaying recording. You are not required to write down your move immediately after you have played it; you can wait until your opponent has replied, and then record both your move and the opponent's move. (You must do this before you make your next move). Several people adopt this method as a time-saving device and I would encourage people to record in this fashion. You can lose several minutes across a whole game by recording your opponent's moves whilst your own clock is running. 4. The draw offer. If, during the game, you offer a draw, you must record that offer on your scoresheet by writing '=' after the move when you made the offer. Similarly, you must record any offers made by your opponent. This is important, because repeated draw offers could be considered as an attempt either to gain time, or to deliberately annoy the opponent. If you feel that your opponent is guilty of this, you can draw the matter to the attention of the arbiter (in a tournament), who will want to inspect your scoresheet to ascertain how often draw claims have been made. 5. Use of substitute recorder. A player who is disabled in some way may be unable to write down the moves, in which case someone else can be appointed to maintain a record of the game. It is common in a tournament for the arbiter to deduct a few minutes, say five, from the disabled player's time, as he will not have to spend any thinking time on recording the moves. "If a player has less than five minutes left on his clock at some stage in a period and does not have additional time of 30 seconds or more added with each move, then for the remainder of the period he is not obliged to meet the requirements of Article 8.1. Immediately after one flag has fallen the player must update his scoresheet completely before moving a piece on the chessboard." In Suffolk League matches, there are two time periods, one ending at the 30-move control and the other at the end of the game. Thus when you have less than five minutes remaining in either period, you can stop recording the moves. However, if this happens in the first time control period, you must update your score after the time control has been reached by doing so in your own time. You may borrow your opponent's scoresheet to do so. If you stop recording in the final time period, then the scoresheet should still be updated when the game has been completed. If both players have stopped recording because they are short of time, then it is acceptable, after the 30th move has been reached, to stop the clocks and reconstruct the game, if necessary by using another board. Penalties. In an arbiter-controlled tournament, a penalty may be incurred in any instance where these rules have been broken. This can range from a warning, to the loss of the game (or even expulsion from the event!) If your opponent stops recording prematurely, it is best simply to remind them that they should still be recording. Similarly, if your opponent writes down their intended moves before making them, they should be gently reminded that this is not allowed. If they continue to fail to record, or write down their moves before making them, then the clocks should be stopped and the arbiter summoned. The arbiter will normally issue a warning, but can also add two or three minutes to your time if it is felt that you have been inconvenienced. I've tried to make this as accurate as possible, but if you disagree with something I've written, or have any other thoughts on the above, please comment below. Back in February I reported on 8-year old Anita Somton's call-up to the England team. This is now confirmed, as can be seen on the ECF Juniors page (scroll down to near the bottom to see Anita's write-up). Anita is now receiving intensive coaching from N. Jyothilal, from the Hamara Chess Academy in India. He is currently living in London and played recently in the FIDE Open at the London Chess Classic. The World Schools Chess Championships will be taking place in Halkidiki, Greece, between the 6 and 15 May. Anita will be playing in the Under 9 tournament. We all wish her the best of luck. The Suffolk Under 11 team will be competing against other counties in the EPSCA Eastern Zone Final next Saturday, 16 March, in Northampton. Because Norfolk has not entered a team, we have been allowed to 'borrow' two of their top players; they have slotted straight in on boards 1 and 2. The remainder of the team has been provided by either the Abbey Prep (Woodbridge School) or the Bury Knights Junior Chess Club. 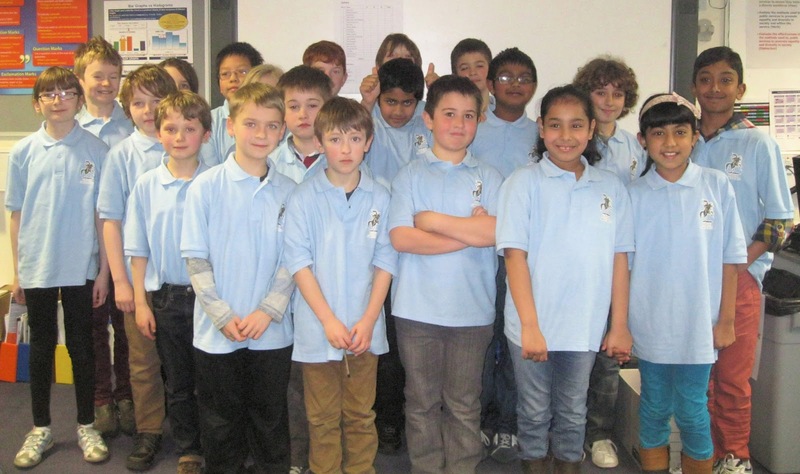 Sadly, there are no other junior clubs in the county and not many schools are running chess clubs. Only the top five boards have current ECF grades. The other eight 'counties' are Barnet, Birmingham, Cambridgeshire, Essex, Hertfordshire, Kent, Northamptonshire and Richmond. Each person plays three games, with 50 minutes each on the clock. The six top scoring teams will progress to the National Finals, which take place in Nottingham on 11 May. I am planning to discuss various FIDE rules in future posts on this website. I know that some players are unaware or uncertain of some rules, so this will be an attempt to provide advice on those that are frequently misunderstood. For a full list of FIDE rules, click here. Three rounds of the Suffolk Ladies' Championship have now been completed. The remaining matches are due to be played by 10 March. On Sunday, the Suffolk Under 160 team played Hertfordshire and Cambridgeshire, the two teams most likely to qualify for the National rounds. Back in December, a strong Hertfordshire team beat Suffolk and another win for them would have meant almost certain qualification. So the morning match against Herts was vitally important for Suffolk. On grading alone, Suffolk appeared to be facing an uphill task, with Herts averaging three points per board advantage. As the match proceeded, it became increasingly evident that Suffolk would win. Some exceptional results, especially on the top boards, where Suffolk scored 3½ out of 4, helped towards a convincing win by 10½ points to 5½. This win ensured that Suffolk would now qualify for the National quarter-final; the afternoon match against Cambridgeshire would only decide first and second places within the EACU. Cambridgeshire fielded one of the strongest-ever teams seen in the Under 160s. Their Board 16 was graded 143 and the team averaged over 152, eight points more than Suffolk. The result, unsurprisingly, was a win for Cambridgeshire, by the same score as the morning match, 10½-5½. The final league table is shown below. Cambridgeshire now play the runners-up in the Midlands Zone, whilst Suffolk are away to the winners, Nottinghamshire. The date and venue will be decided later. * These totals are estimated, as the final score between Herts and Norfolk is not known (although Herts definitely won convincingly). Norfolk again defaulted two boards, as they had done in December. They clearly have commitment problems with their players. Excellent performances from the 'new boys' - Leon Burnett, Stephen Lewis, John McAllister, John Lambert and Carl Phillips - unbeaten over their ten games! Over the season, 26 people have played in the Under 160s. Of these, six (Rob Harden, Bob Jones, Scott Taylor, Andrew Shephard, Ed Kirkham and Colin Roberts) have played in all the matches. The leading player has been Ed Kirkham, with four wins (including one default win) and two draws. The final two matches, against Norfolk and Cambridgeshre, will be played on Sunday 17 March. There will be a full report on the Under 160s tomorrow. Here's a brief report on today's County matches, at the Turner Hall in Newmarket. Suffolk teams had a mixed day. The First Team lost 7½-8½ to Bedfordshire in the morning, but playing the same opponents with the opposite colour, managed to win 9½-6½ in the afternoon. The Under 160s beat Hertfordshire 10½-5½ in the morning, but lost by the same score to Cambridgeshire in the afternoon. Both Cambridgeshire and Suffolk have qualified for the national rounds. Of the 32 Suffolk players, the only one to win both games was Alan Merry, who beat Steve Ledger twice. The first of these games included a nice finish, which will feature in tomorrow's posting, along with league tables and individual scores. Both the Suffolk First Team and the Under 160s are playing tomorrow, at the Turner Hall in Newmarket. The First Team (capt. Ian Wallis) takes on Bedfordshire, playing them twice during the day. Meanwhile, the Under 160s (capt. Bob Jones) play Hertfordshire in the morning and Cambridgeshire in the afternoon. The First Team is well-placed to take over at the head of the division. So far this season they have beaten both Norfolk (9-7) and Cambridgeshire (10½-5½). The matches against Bedfordshire will provide a clearer picture, with all four counties then having played four matches. The Under 160s is very close, with three teams, Suffolk, Cambridgeshire and Hertfordshire, all vying for the main qualifying place. Although there are two qualifying places, the runner-up county is required to play an extra match in a preliminary round, before entering the national rounds proper. So two wins tomorrow for Suffolk would be excellent! On grades alone our team is not quite as strong as it was in the last matches in January, but grades can be misleading. For example how can Andrew Shephard be a 136? In his last nine games since the start of 2013 he is unbeaten and is averaging 181. A useful Board 11, methinks. The results of both the First Team and the Under 160s will be posted here late Sunday evening. Division 3 hasn't had a mention since mid-December - see here - so it's high time we had an update. Ipswich D still retain the lead, but Woodbridge School, who have scored 8 points from their last three matches (including a 3½-½ win over Ipswich D), are snapping at their heels. In the Player of the Season competition, Phil Mortonson is in the lead with 6½/8 (75%), whilst Keith Woodcock (70%) and Nikolay Lastochkin (67½%) are close behind. The early leaders, Daniel Such and Silas Peck, have played an insufficient number of games to qualify.